Our national broadcaster recently had a show about colossally bad first dates. There were your classic stories, from the lack of a spark to the instantaneous stalker. One of the stories was of a guy who asked a girl out to a concert in another city. He decided for their first date to drive her three hours from Calgary to Edmonton, go to an outdoor concert, and drive the three hours back. Needless to say, it was a disaster. It began well. They were fully engaged in conversation on the way there. As he was looking at her, talking, he bumped into the car in front of him. Late for the concert, in the freezing cold—it is Edmonton, after all—they found their seats a mile away from the stage. They huddled in the brisk wind as miniature figures danced to rock music on the stage far below. Defeated and exhausted, they made their way to the car, fought traffic, and pulled back onto the highway. About halfway through the drive—late at night, after a long date—they ran out of gas. They put their four-way flashers on, pulled off the road to make a phone call, and were promptly hit by a truck, hurtling them hundreds of feet toward their destination. They both lived, miraculously, but needless to say it was a quiet drive back to Calgary—him in the back seat of her mother’s car, in the middle of the night, while she stared out the window in the darkness. Granted, this is an unusually bad date. But I don’t know what the guy was thinking at all. You don’t go for a six-hour drive on a first date. It’s just the wrong thing to do. Going on a drive, two adults staring ahead through a bug-smeared windshield, is fraught with first date dangers: lulls in conversation, awkward silences, permanent disagreements, and, apparently, traffic violations. There was no second date. There is a principle, I think, in the drive together. C.S. Lewis talked about friendship in his book The Four Loves. Set apart from other expressions of love, friendship is unique in its disposition. The natural posture of lovers is “face to face,” Lewis argued, but friends walk “side by side; their eyes look ahead” (Lewis, The Four Loves, 98). Driving together—especially long drives on the highway—is simply the wrong posture for lovers; it is the posture of friendship. This is how it has always been with my friends, facing forward on a journey together. “You will not find the warrior, the poet, the philosopher or the Christian by staring in his eyes as if he were your mistress: better fight beside him, read with him, argue with him, pray with him” (104). 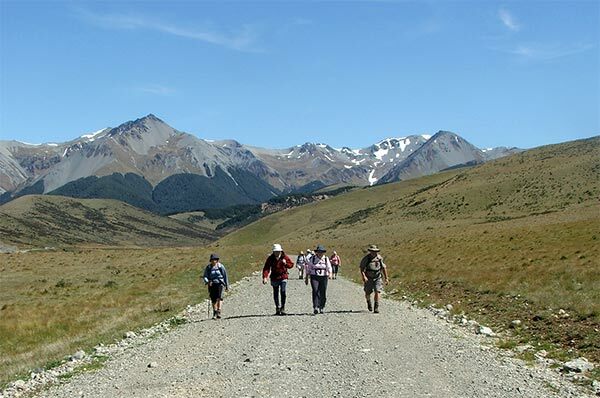 This is why I think the metaphor of “pilgrim” is so important to one’s life: we are on a journey, walking beside others who share our destinations, who dream our deepest dreams, who are willing to risk in the same crushed hope. Like the pilgrims on the road to Emmaus, we may even forget what our fellow pilgrim looks like, even as “our hearts burned within us while he talked with us on the road.” We get lost in lovers’ eyes, but with friends we may even forget to look as we point our faces down the shared road. This is the nature of friendship facing forward. This entry was posted in Reflections and tagged awkward silences, bad date, books, C.S. Lewis, friendship, literature, love, Marion E. Wade Center, The Four Loves. Bookmark the permalink. I agree with most of this, but one thought I have is not addressed. I do not think I would like a lover who is not also a friend. Friendship can be marred and even killed by eros, but it seems to me that, in a truly healthy relationship between lovers, philia must have a part. I know I’m not alone in this, which is why I mention it. Most of my friends feel the same way. We want a lover who is also our friend, and a relationship wherein there is a mix of face-to-face and side-by-side. 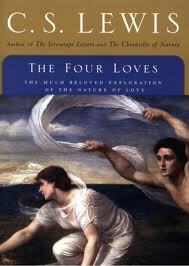 Mostly, though, I am reminded how much I need to read the Four Loves. … so much I need to read, and I am overwhelmed! I’m not sure what Lewis said about this, but surely relationships of lovers includes friendship. And affection too. Eros may take up all the loves, perhaps. I don’t know actually. Have you heard Lewis’ lectures on 4 Loves–they are on youtube. You could download them on mp3 until you get the chance to read. I haven’t. That is an excellent idea. Thanks! The word serendipity came to mind as soon as I read your piece on ‘friendship’, a concept that at this moment I am battling with. Over the years I have been blessed with friends who lived and travelled with me on my journey. There is on a Saturday night here in Ireland a radio programme where a lovely gentleman call Donnacha O’Duallaing plays Irish music and talks to the older members of the community about times past and present and evokes the true meaning of friendship in that he suggests that we walk ‘a bit of the road’ with each other and enjoy some conversation and music. The affection and love that lives in this man is palpable and this for me is ‘friendship’. I have never met him and yet I would see him as a friend as I would C.S.Lewis. I have had the good fortune to enjoy different friendships over the years and the ones I treasured most were those where laughter played a big part. Next to affection I feel it is the greatest gift. We seem to be moving too fast today to savour the real meaning of ‘affection’. My laughter friends have moved on and my battle now is finding those who have time to “Be still and Know”. It seems that we are all on the outside lane and have difficulty finding the right exit. Thank you for your input. “May the road rise up to meet you and may the wind be always on your back”. Thank you for the lovely note. I hope that you find that laughter friend. A lot of my friends have scattered–I have scattered–but many of them we would be back to old days if we met again. It also sounds like a lovely radio program.